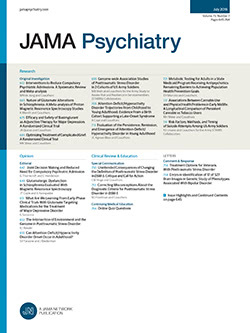 A RECENT investigation from this laboratory1 demonstrated that psychotic depression is associated with low rates of glucose utilization (k) and high levels of serum insulin following glucose injection. Patients with neurotic depression did not demonstrate these abnormalities. This abnormality, a resistance to endogenous insulin, returned toward normal when the patient improved. These findings, which could not be accounted for by initial levels of serum human growth hormone (HGH), age, or nutritional state, suggested that psychotic depression is associated with a type of endogenous insulin resistance unlike that of any previously described condition.